Its two 'moustache' black bands on tergites 3 and 4 of its abdomen are unique. 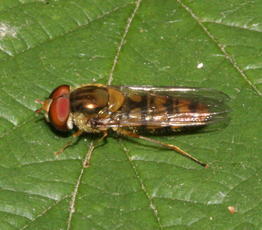 Some specimens also show white bands on the abdomen, whilst other forms are quite dark. Gardens, hedgerows, parks and even woodland in sunny spots. January to December peaking in August. 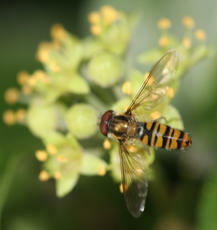 Numbers can be boosted by an influx of migrants. 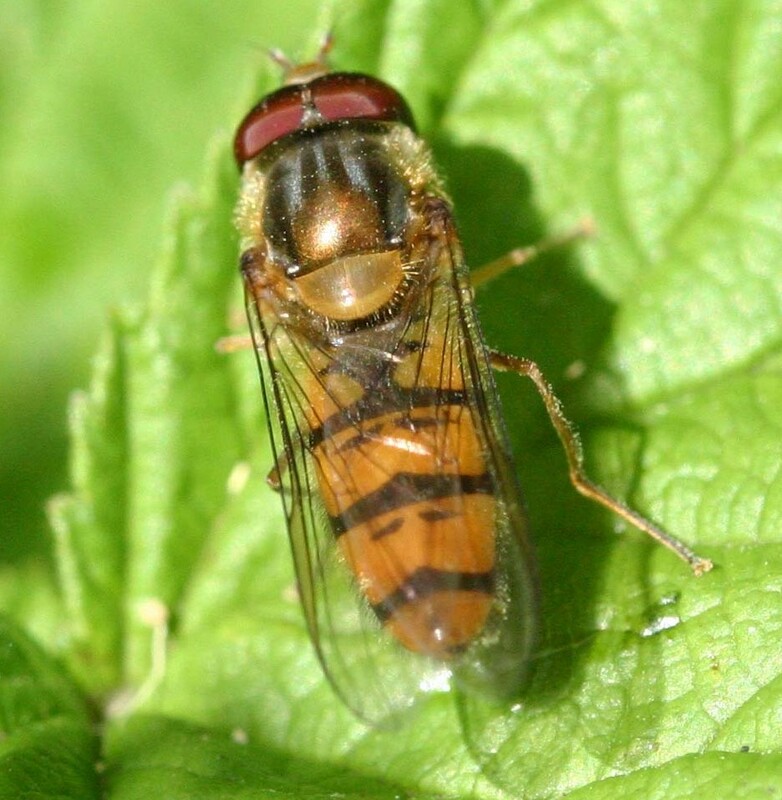 The fact that it can be seen in most months of the year is no doubt in part due to it hibernating through the winter but emerging on warmer days. 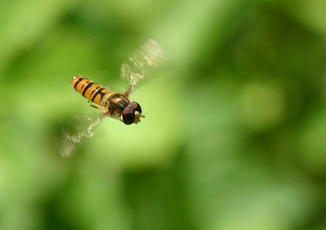 Numbers are also boosted by migrants. 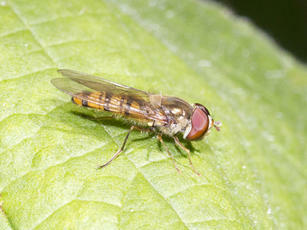 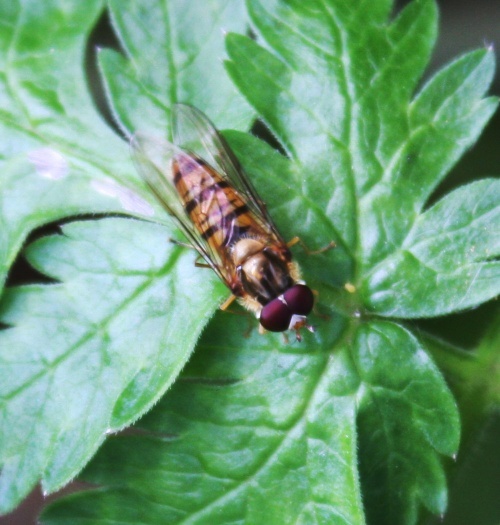 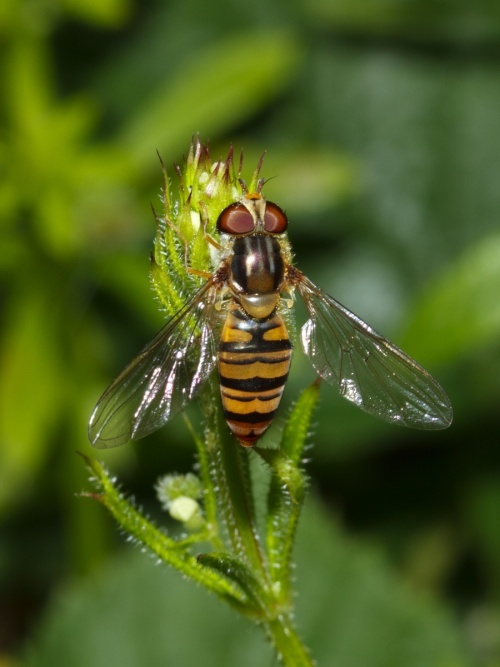 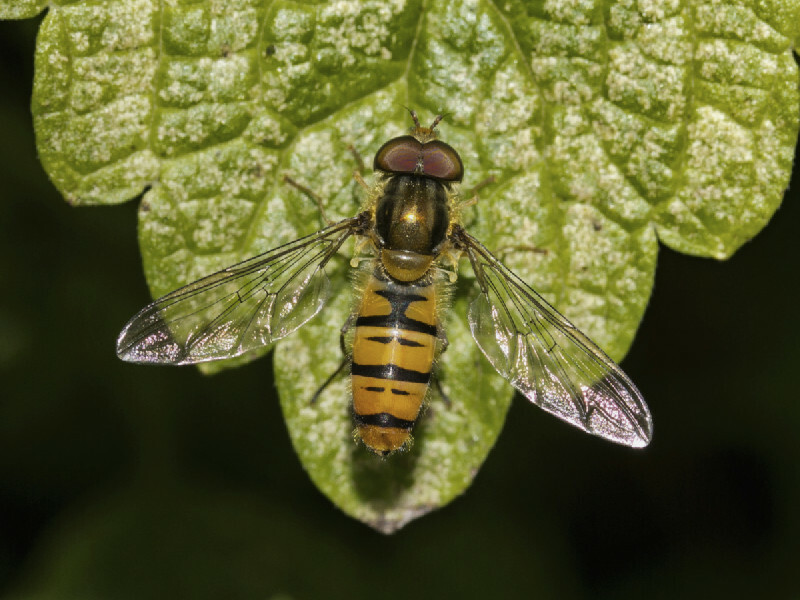 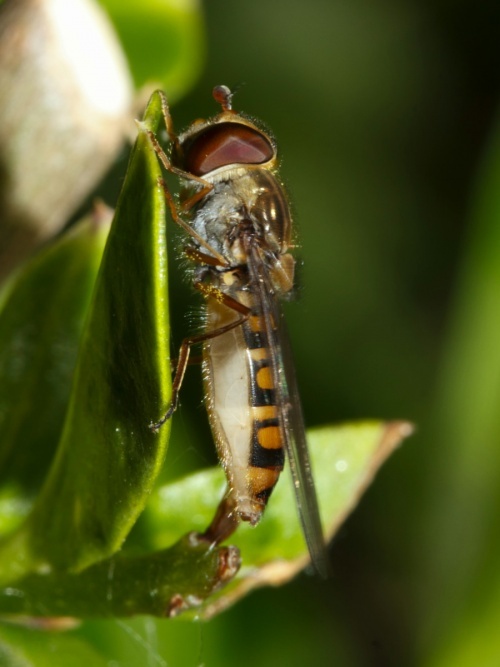 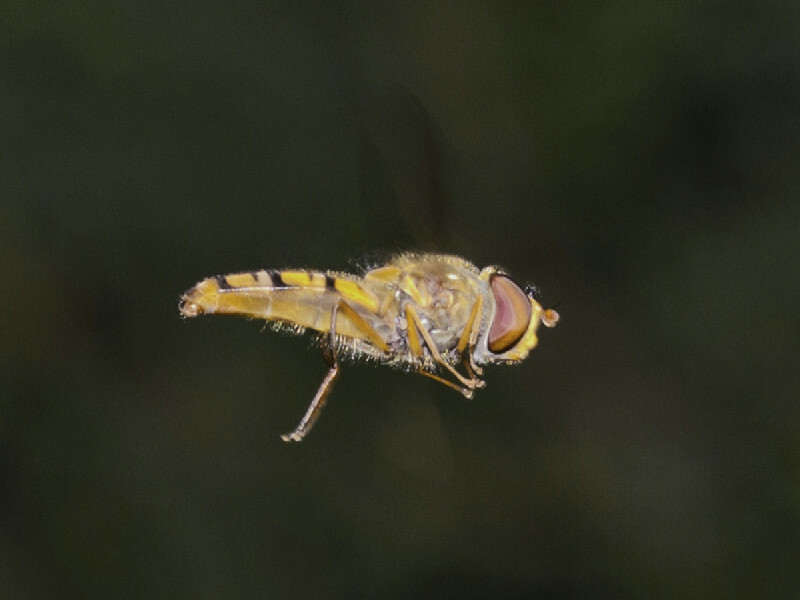 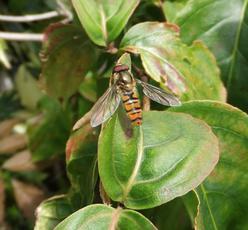 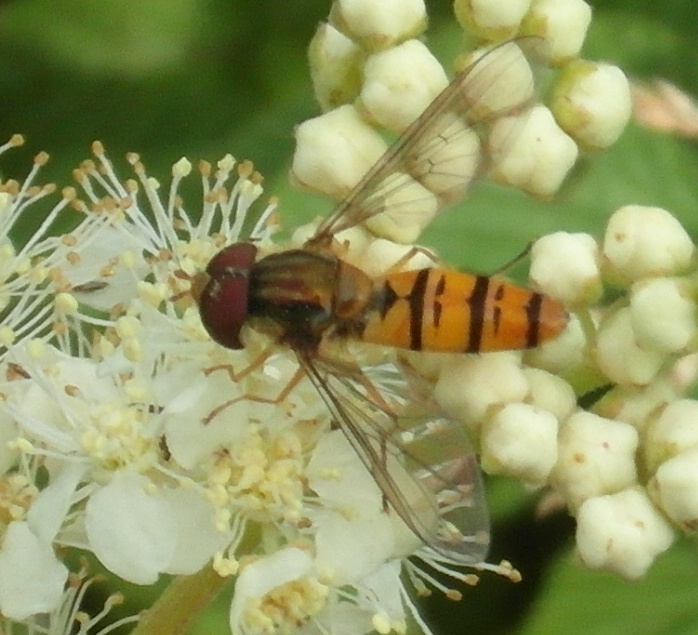 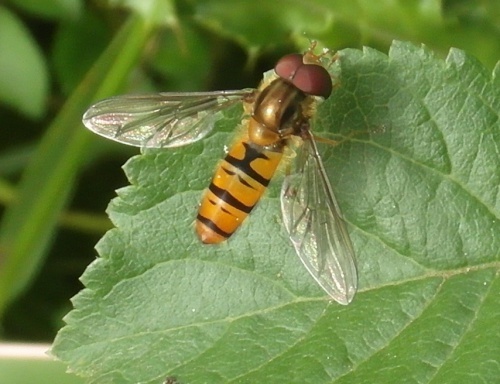 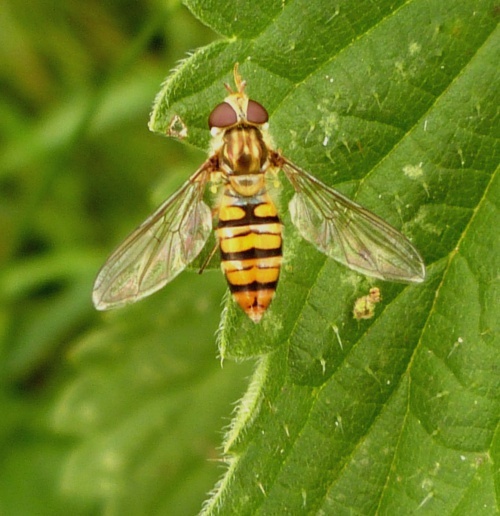 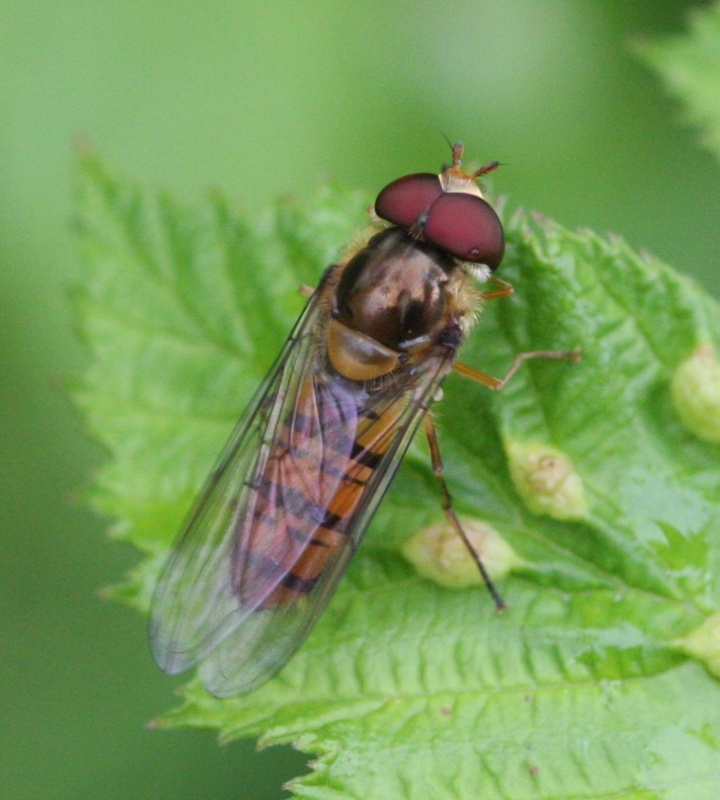 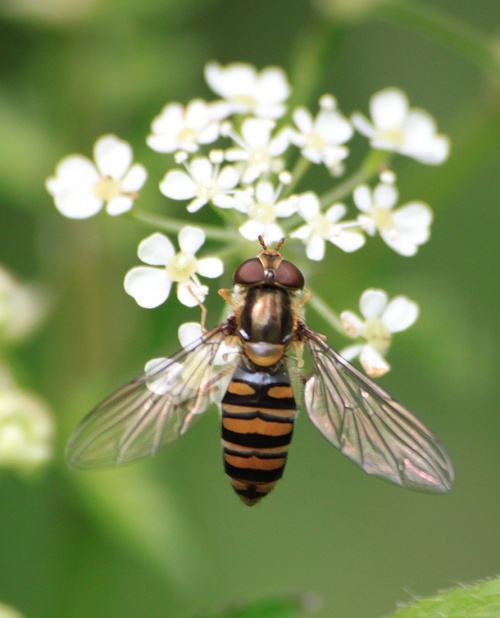 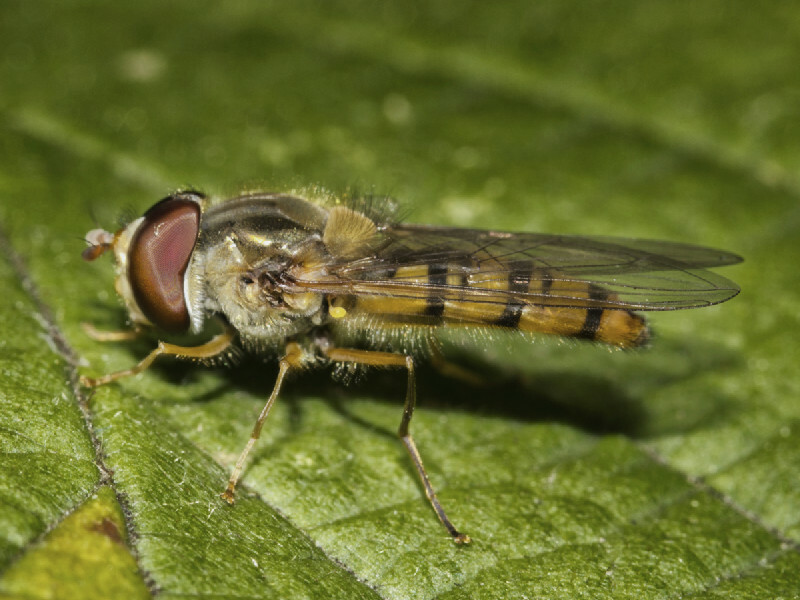 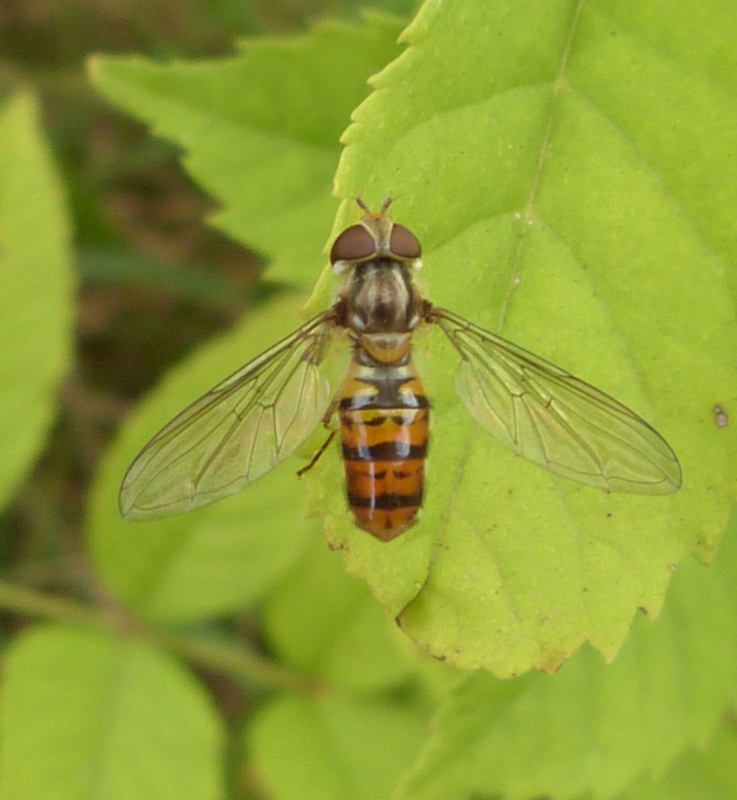 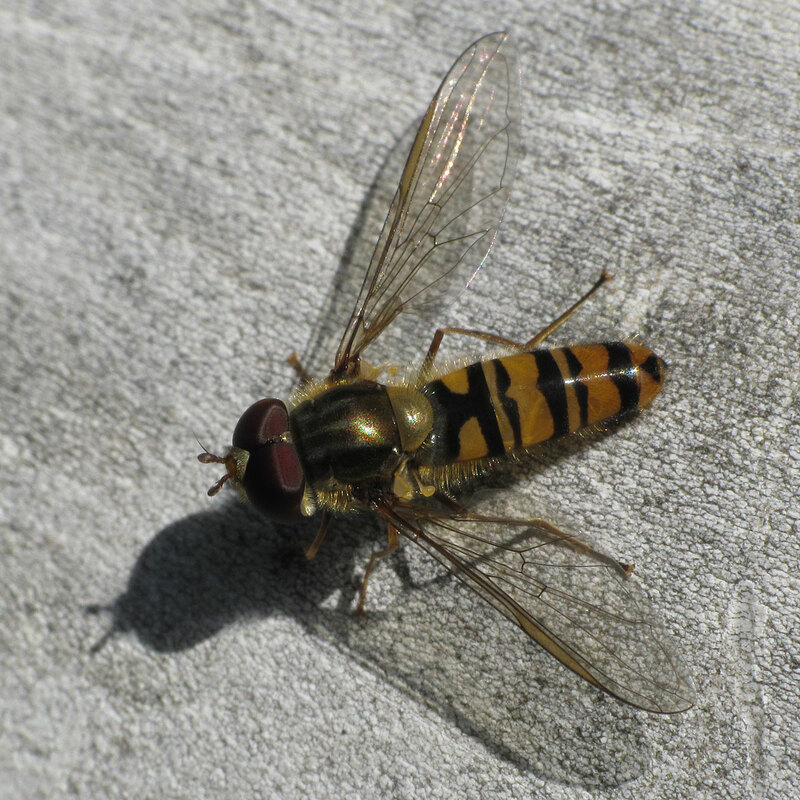 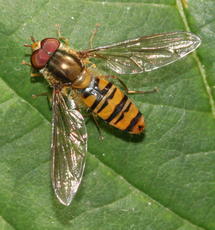 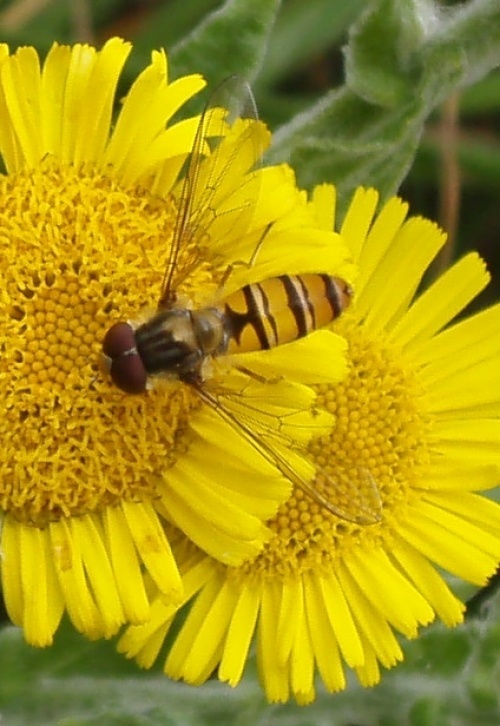 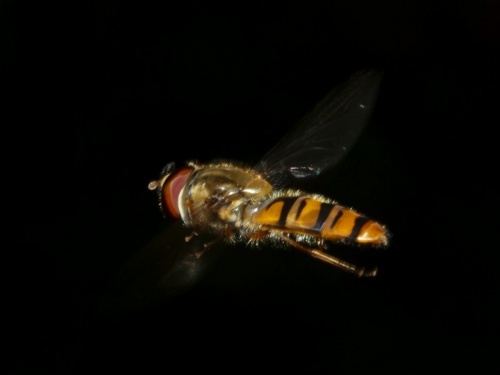 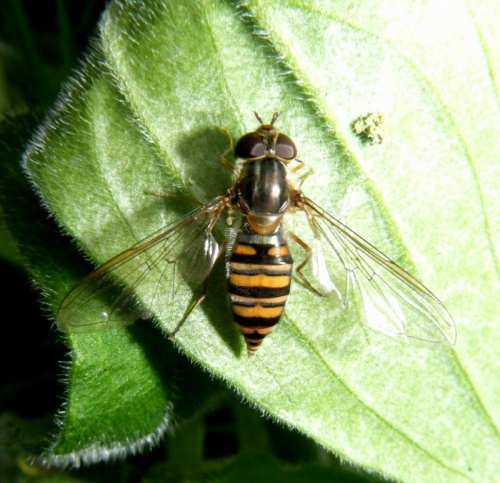 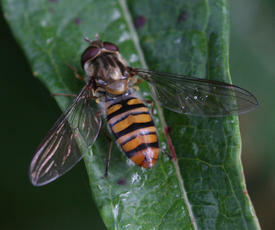 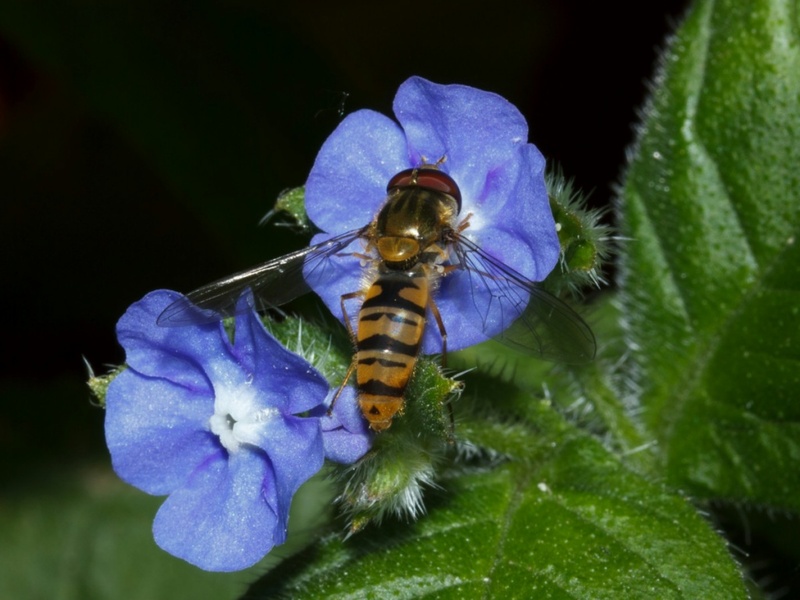 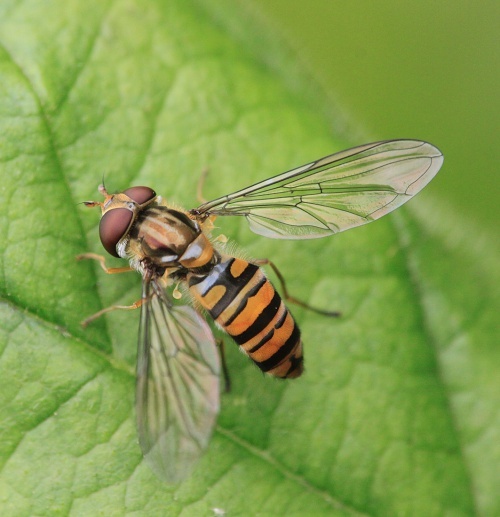 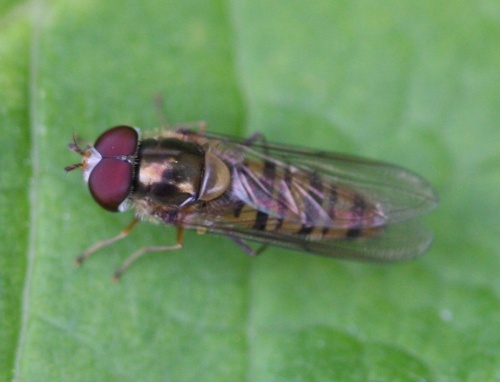 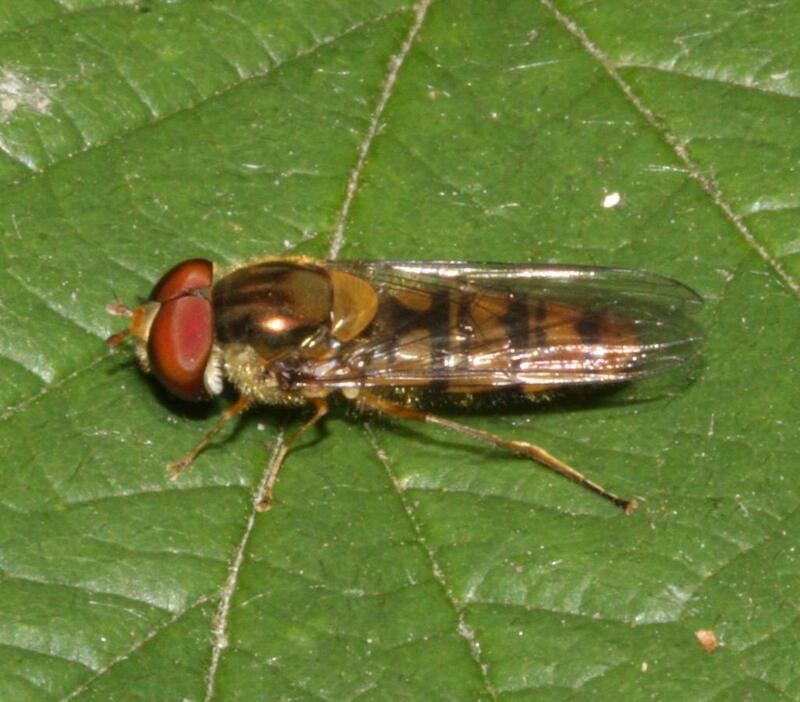 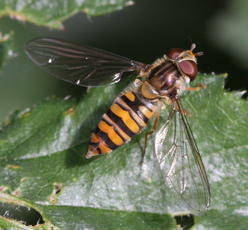 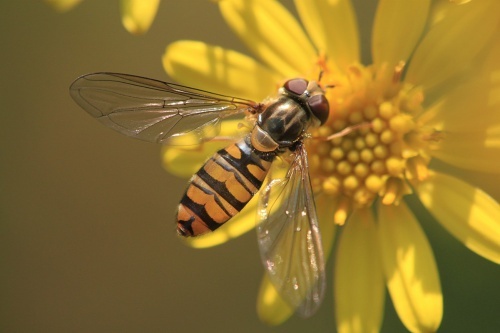 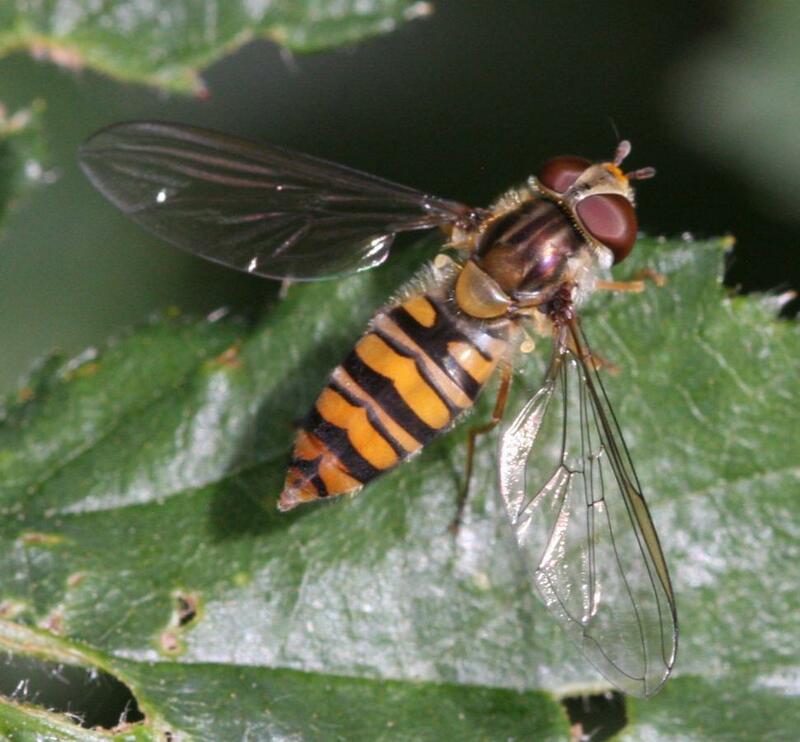 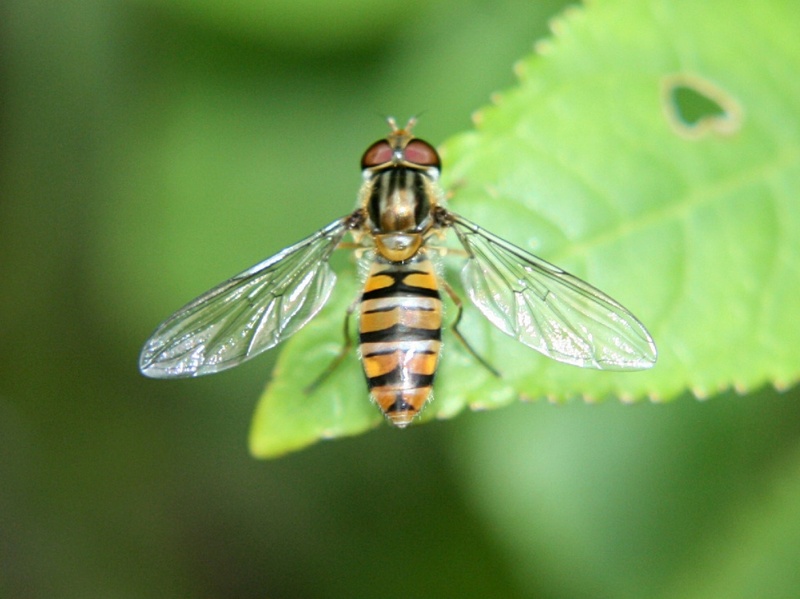 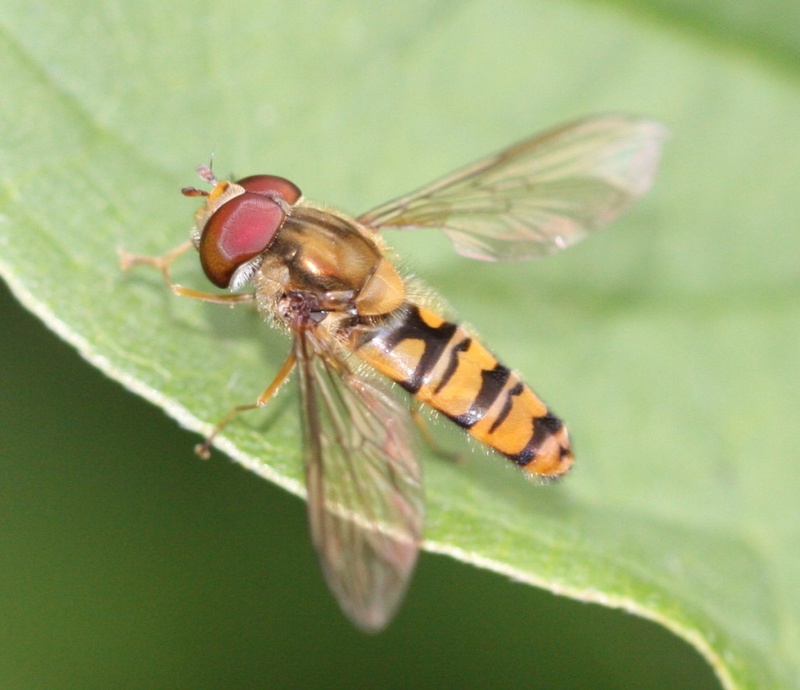 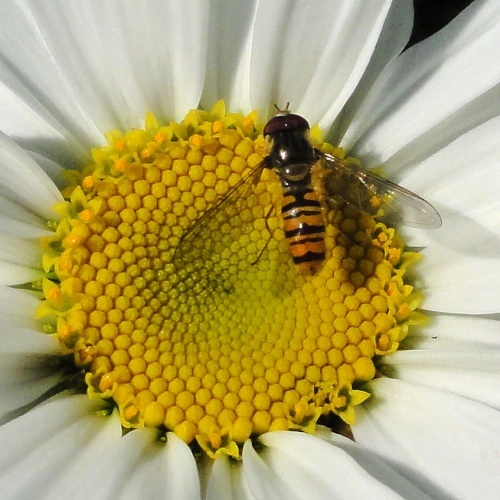 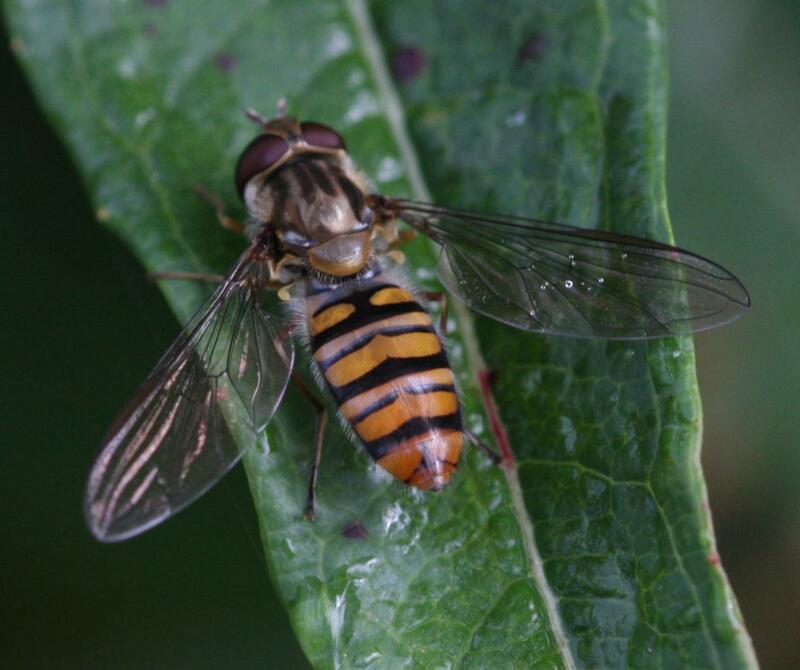 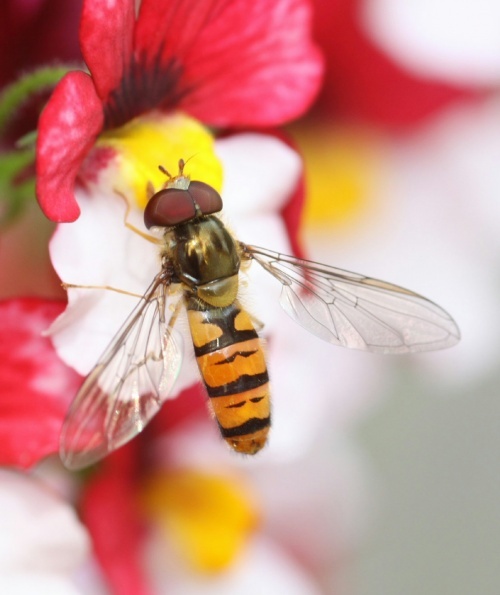 Records indicate that it may be the commonest and most widespread hoverfly in Britain.